Thanks for letting John introduce himself. 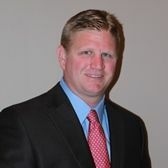 John Dyer graduated from the University of Missouri – Columbia in 1998 with a BS in Agriculture and a minor in Business. In 1999, he obtained his real estate license and started the commitment to bringing buyers and sellers together in this natural treasure we call land. John’s understanding of clients who hunt, those who farm, those who invest and those who own land for mere pleasure have entrusted him in the execution of land transactions in a timely and hassle-free environment. His personal insight of land ownership in rural Missouri gives him the opportunity to teach and pass on the highs and lows to his 2 children. Land is a great gift from which children can learn life lessons and enjoy memories for years to come. God has provided John with a loving wife, 2 healthy and crazy kids and a way of life that is not work when you love what you do. In 2013, John was ranked #14 in land sales and in 2016 he was ranked #8 in land sales within the United County system. John’s greatest attribute is having current & past clients turn into what he calls good friends.